No, we don’t use a smartphone to take your home’s listing photos. We do use high-end enhanced digital photography to present your home in the best way to attract buyers. We want prospective buyers drooling over your home’s photos and booking appointments to view your home! When selling vacant homes we have staging options and ‘digital staging’ options that will help get prospective buyers through the door and on their way to making you an offer! Too often we see homes described as ‘must see’ and even ‘a rose among the thorns’…Would you want to live in a pretty home surrounded by ‘thorny’ (ugly) homes? We take the extra time needed to create a description that helps prospective buyers envision the best features of the home, and be subtle but not deceptive about any possible detractions. This can sometimes be a tough needle to thread, but we’re the team that gets it right! Katie Roddy, one of the experienced Realtors with the Select Team, also provides a discerning Staging Service for those customers wanting their home to have the maximum initial impact with prospective buyers. We stand by our commitment to provide outstanding service to you as a home buyer or seller. As a seller, you will sign a listing agreement with Select Realty granting us permission to market & sell your home. However, we do not want you to feel ‘trapped’ by the agreement if for some reason you feel we are not providing the service you require. So we simply ask for a 30-day notice & we’ll cancel the agreement. Also, where other brokerages may charge from 3% to 6% to cancel the contract to help offset their expenses to that point, we will not charge anything. Zero. We can even help you find another respected brokerage if needed. Why do we do this? We are very confident that you will be fully satisfied with our real estate process. 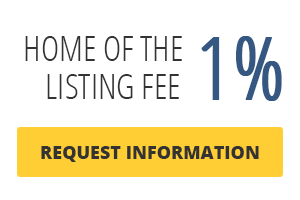 Want to list for 1%?